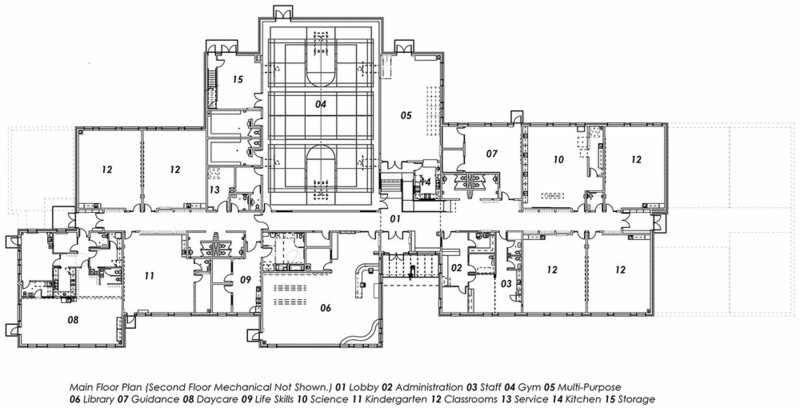 Woodlands K-8 School | prairie architects inc. This 25,000 sf K-8 elementary school replaces the communities existing school - a pre-engineered building built in 1974. Prairie Architects was commissioned to design the new 150 student school on the adjacent site, with a core capacity to accommodate 200 students. With an increased emphasis on early childhood development, the program includes a pre-school daycare that is a fun, stimulating environment where children will begin to foster a love for learning. The new Childcare Centre will accommodate 24 pre-school children and 4 infants. 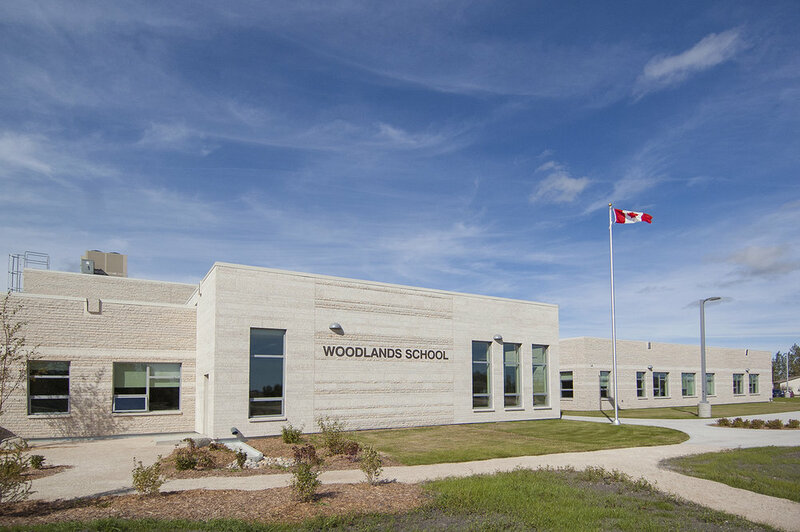 The Woodlands School is a fully accessible, community school. The Library and Gymnasium are at the heart of the school and the Municipality contributed extra space to the library with the intent that it become the main library within the community. The spaces provide a place for students and community members to learn and interact thereby having a positive impact on the community. 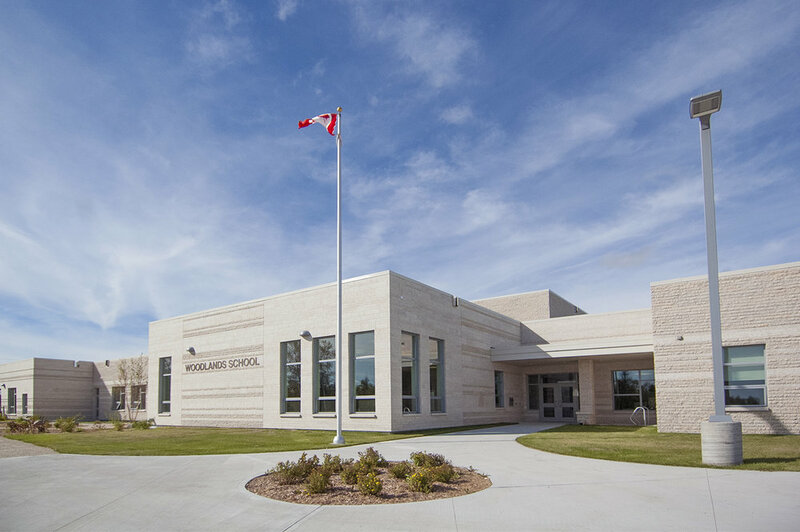 The school is clad in all tyndall stone, quarried in nearby Garson, Manitoba with the students participating in a field trip to pick out pieces of stone with fossils that were eventually installed on the facade in groupings according to grades. 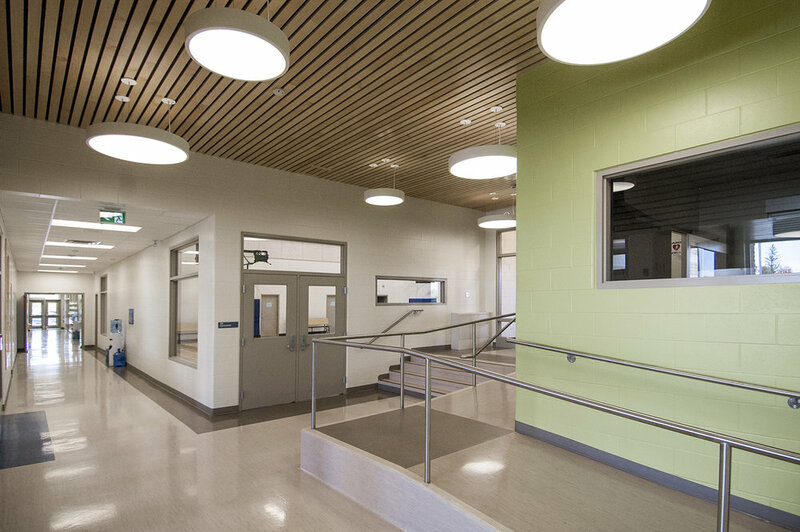 The new school is a light filled space, including glazing on the north side of the gymnasium, contrasting their existing school which had limited windows. The exterior design includes an outdoor learning environment connected to the existing outdoor classroom on the property through walking trails. 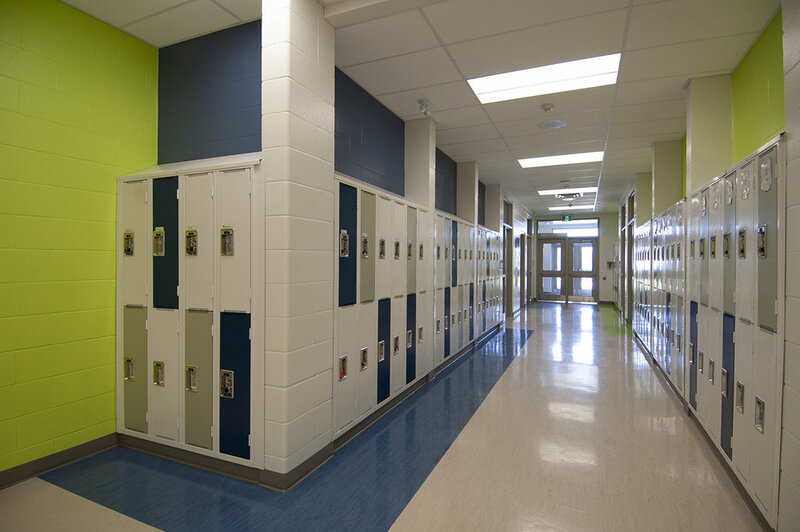 With an original target of LEED Silver, the school was certified LEED® Gold in 2017.